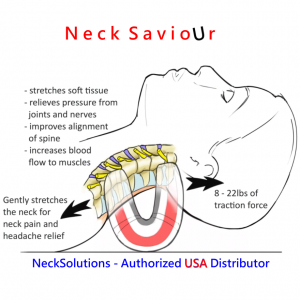 New Drop Head Support With No Pressure Under Chin Or On Jaw. 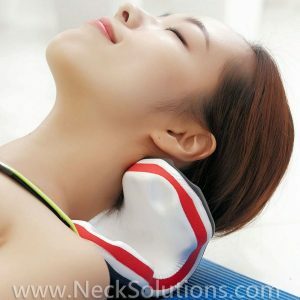 Comfortably Lifts Head & Can Be Worn For Hours. Please Review Videos Below For Detailed Instructions. There Is A Learning Curve, But With Practice, It Is An Effective & Popular Support Alternative. Band: Measure Around Chest Under Bust Line. Small (30 – 36 in) Medium/Large (37 – 42 in). X-Large (42 – 47 in) Between Sizes? A Smaller Unless Bent/Stooped Posture Of Body/Shoulders Along With Dropped Head – Use Larger. 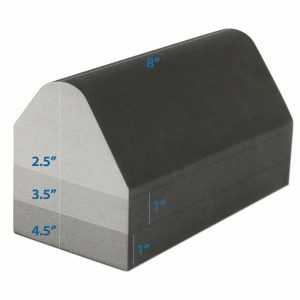 Cap: One Size – Measure Same As Band, Fits (32 – 43 in). Custom Sizes Available, Just Select Cap Or Band & Fill In The Measurement In The Instruction Box During Checkout. Please Allow Approximately 2-3 Weeks For Custom Order Shipping. Single Patient Use Only. 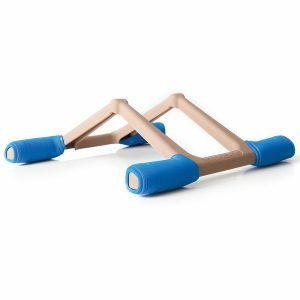 Ships Free Priority To U.S.
Short Or Long Neck And Light Or Strong Options Gives You A Wide Range Of Traction Forces & Comfort. Measures Approximately 10 x 9 x 1 & Comes With Backpack Style Carry Case & Instructions. Also available in a Mini Version. Ships Free First Class To U.S.
Comes In 2 Sizes: Video Shows Large. Both Sizes Work The Same; The Small Has A Shorter Slope, Increasing The Angle & Effect. In General, Begin With The Large & Progress To The Small. 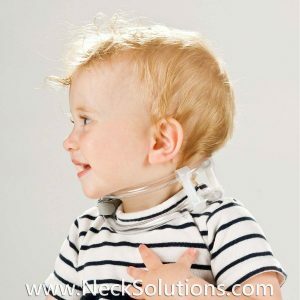 The TOT Collar Is An Effective Therapy Aid For Congenital Muscular Torticollis. 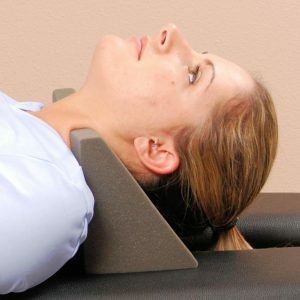 It Is Added To Conservative Management & Is Designed To Produce A Stimulus To The Side Of The Head. 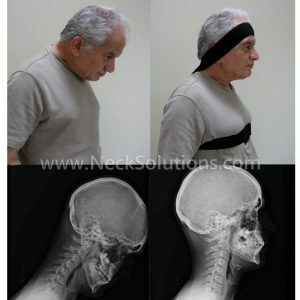 The Patient Reacts By Moving Away From The Stimulus Towards A New Corrected Position. 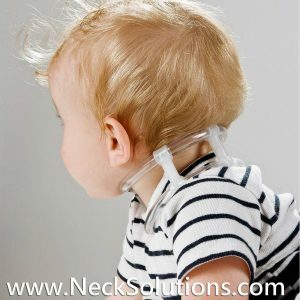 Plus Head Support System Permits Walking, Standing & Sitting. 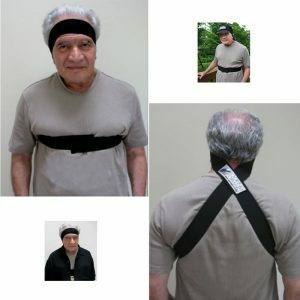 Comes With Body Support Vest (TLSO) & Choice Of Head Support. 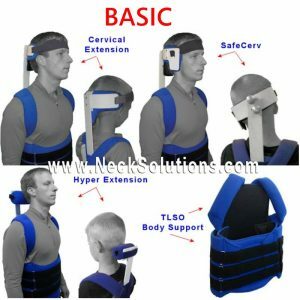 From Dropped Head, Extensor Tone, Torticollis & Other Neuromuscular Conditions Requiring Custom Or Restorative Support. This Is The PLUS VERSION With 4 Flexible Panels (Code L0456). 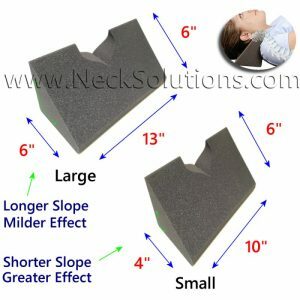 Head Support Attachments Are High Temp, Moldable Kydex (Code L0999). PDAC/Medicare Approved. There Is A Basic Support System That Uses 1 Flexible Panel (Code L0454). Customizable & Hygiene Item – Non Returnable. Professional Measuring & Fitting Required.